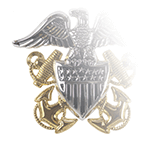 The United States Navy uses a system of gold lacing in three different widths—2-inch, ½-inch, and ¼-inch—as the basis for its sleeve rank insignia. 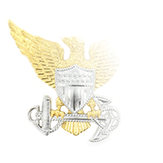 The basic system of stripe-based rank insignia was introduced in 1852, but underwent several modifications until 1881; the only significant changes since that time have been in the addition or disestablishment of certain ranks or rank designations. 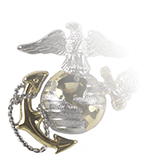 You might think that quarter-inch (¼-inch) lacing, the narrowest available, would be used for the lowest commissioned officer ranks, but today this size is used as more of an “intermediary” lacing to indicate transitions between ranks. 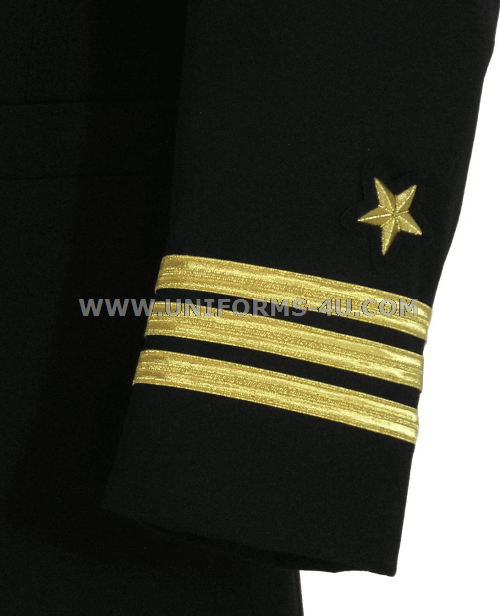 Ensigns (O-1), for example, wear a single ½-inch gold lace on their sleeves, while Lieutenants (O-3) wear two; in between is the Lieutenant (junior grade) rank (O-2), designated by the Ensign’s single half-inch stripe and a single quarter-inch stripe. 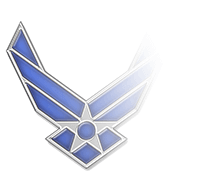 Similarly, the rank above Lieutenant, Lieutenant Commander, is designated by two those half-inch stripes with a single quarter-inch stripe between them, while Commander is three half-inch stripes. 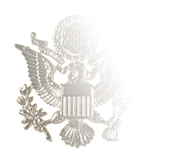 A single order of the ¼-inch gold lace is 30” in length, more than enough for both sleeves of a single uniform because there is never more than a single ¼-inch stripe regardless of rank.